By examining photographic plates of various regions on the sky, Edward E. Barnard concluded in this paper that what he called “dark markings” were in fact due to the obscuration of nearby nebulae in most cases. This result had a significant impact on the debate regarding the size and the dimension of the Milky Way and also the research of the interstellar medium, particularly work by Vesto Slipher, Heber Curtis and Robert Trumpler. The publication of A Photographic Atlas of Selected Regions of the Milky Way after Barnard’s death, which included many of the regions mentioned in the paper, further provided a new method of doing astronomy research. In this paper and the Atlas, we are also able to see a paradigm very different from that of today. It is now well-known that the interstellar medium causes extinction of light from background stars. However, think of a time when the infrared imaging was impossible, and the word “photon” meant nothing but a suspicious idea. 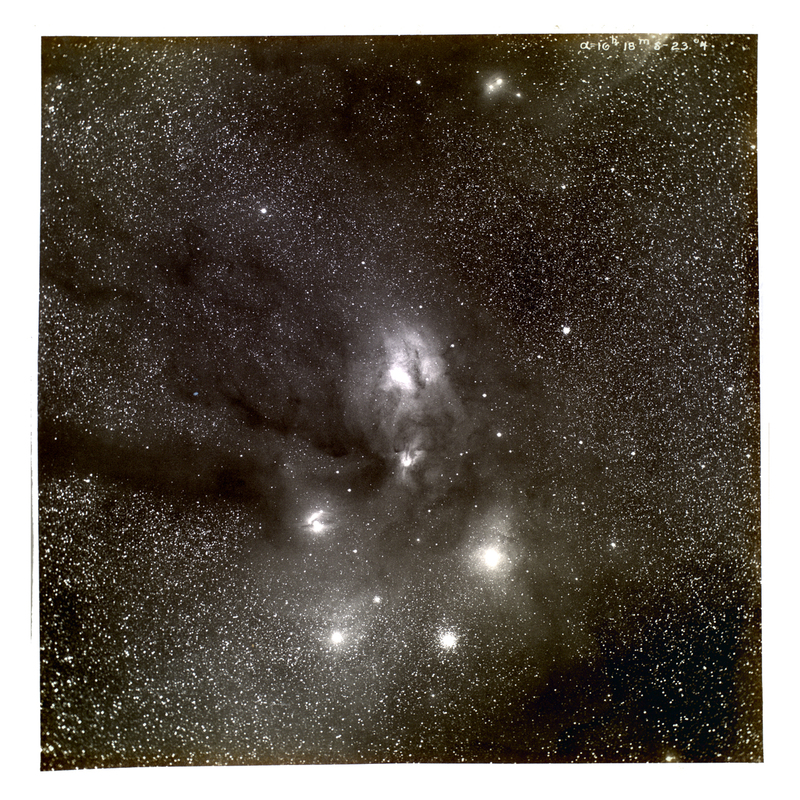 Back in such a time in the second decade of the twentieth century, Edward Edison Barnard, by looking at hundreds of photographic plates, proposed an insightful idea that “starless” patches of the sky were dark because they are obscured by nearby nebulae. This idea not only built the foundation of the modern concept of the interstellar medium, but also helped astronomers figure out that the Universe extended so much farther beyond the Milky Way. Fig. 1 is one of the many plates taken at the Yerkes Observatory. It shows the region near Rho Ophiuchii, which was a region constantly and repetitively visited by Barnard and his telescope. 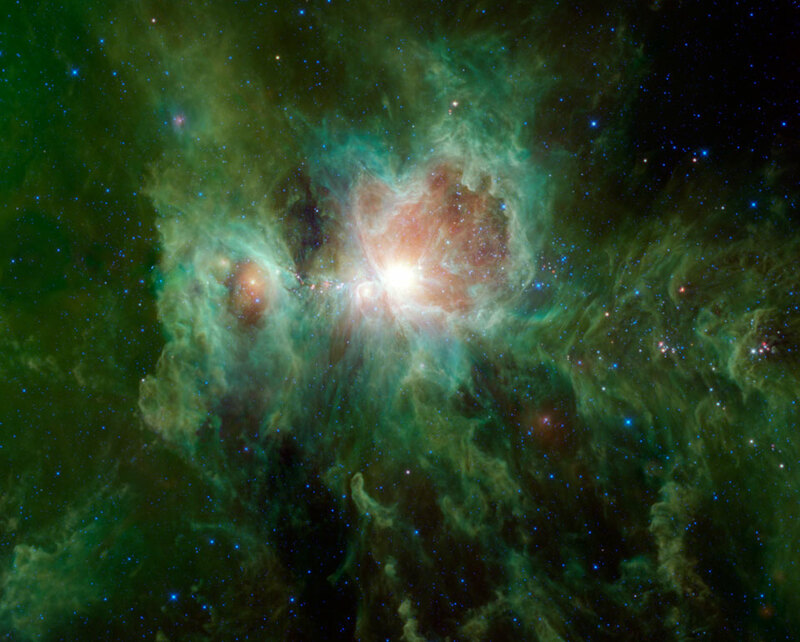 Barnard noted in his description of this plate, “the [luminous] nebula itself is a beautiful object. With its outlying connections and the dark spot in which it is placed and the vacant lanes running to the East from it, … it gives every evidence that it obscures the stars beyond it.” Numerous similar comments spread throughout his descriptions of various regions covered in A Photographic Atlas of Selected Regions of the Milky Way (hereafter, the Atlas). Then finally in his 1919 paper, he concluded, “To me these are all conclusive evidence that masses of obscuring matter exist in space and are readily shown on photographs with the ordinary portrait lenses,” although “what the nature of this matter may be is quite another thing.” The publication of these plates in the Atlas (unfortunately after his death, put together by Miss Mary R. Calvert, who was Barnard’s assistant at the Yerkes Observatory and helped publish many of Barnard’s works after his death) also provided a new way of conducting astronomical research just as the World Wide Telescope does today. The Atlas for the first time allowed researchers to examine the image and the astronomical coordinates along with lists of dominant objects at the same time. 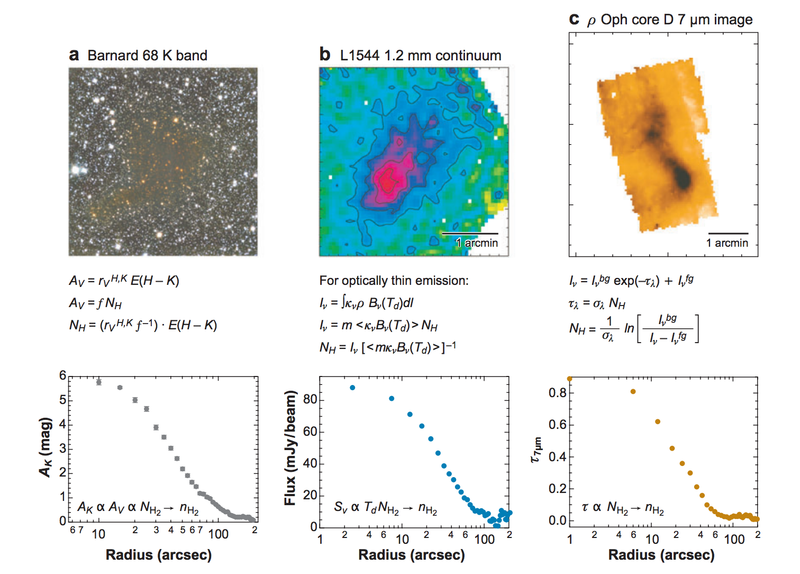 Except quoting Vesto Slipher’s work on spectrometry measurements of these nebulae, most of the evidences in Barnard’s paper seemed rather qualitative than quantitative. So, as of today’s standard, was the “evidence” really conclusive? Again, the question cannot be answered without knowing the limits of astronomical research at the time. 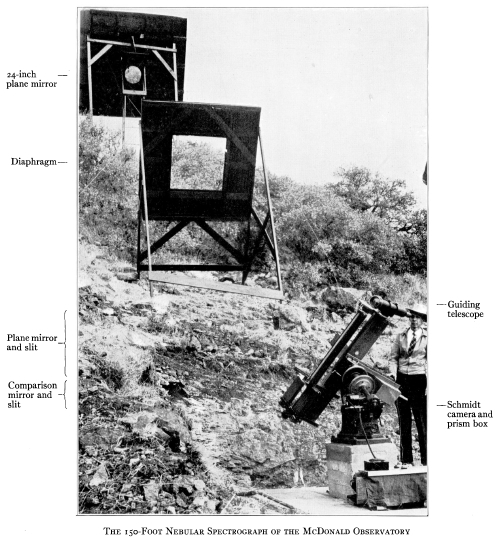 Besides an immature understanding of the underlying physics, astronomers in the beginning of the twentieth century were limited by the lack of tools on both the observation and analysis fronts. Photographic plates as those in the Atlas were pretty much the most advanced imaging technique at the time, on which even a quantitative description of “brightness” was not easy, not to mention an estimation of the extinction of these “dark markings.” However, this being said, a very meaningful and somewhat “quantitative” assumption was drawn in Barnard’s paper: the field stars were more or less uniformly distributed. Barnard came to this assumption by looking at many different places, both in the galactic plane and off the plane, and observing the densities of field stars in these regions. 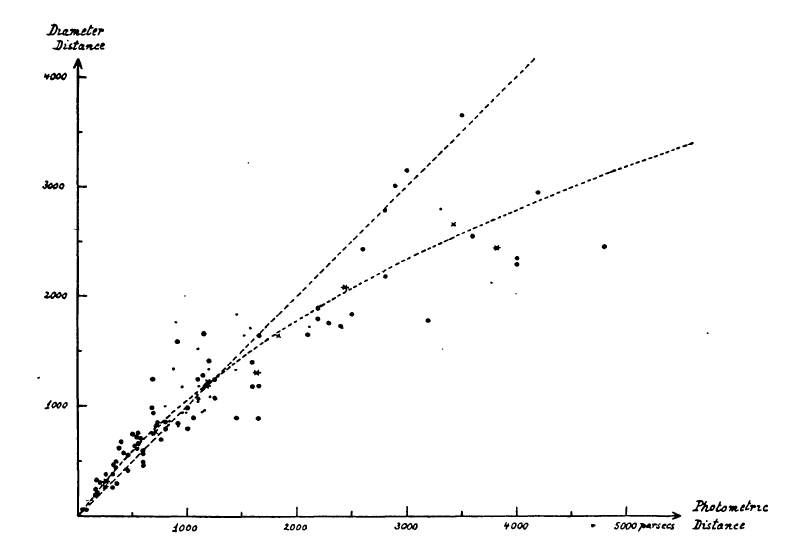 Although numbers were not given in the paper, this was inherently similar to a star count study. 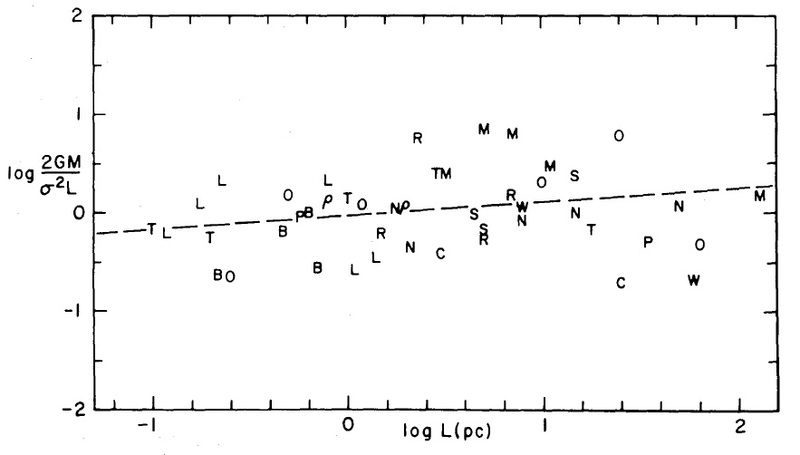 Eventually, this assumption lead to what Barnard thought as the conclusive evidence of these dark markings being obscuring nebulae instead of “vacancies.” Considering the many technical limits at the time, while the paper might not seem to be scientific in today’s standard, this paper did pose a “conclusion” which was strong enough to sustain many of the more quantitative following examinations. Almost at the same time, perviously mentioned Vesto Slipher (working at the Lowell Observatory) began taking spectroscopic measurements of various clouds and tried to understand the constituents of these clouds. 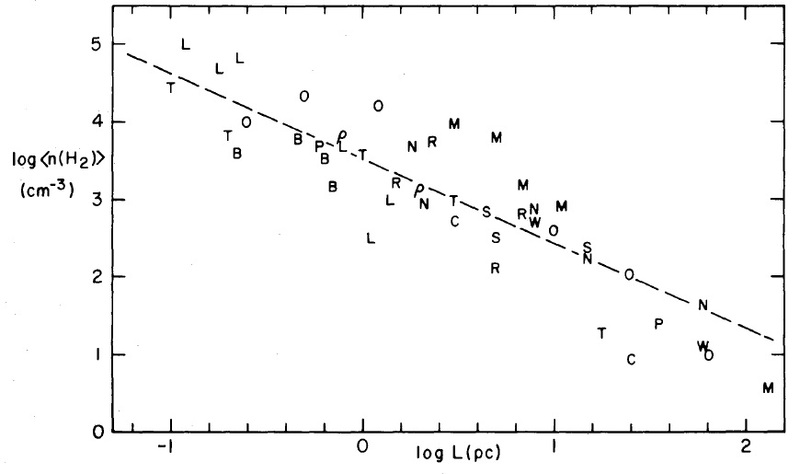 Although limited by the wavelength range and the knowledge of different radiative processes (the molecular transition line emission used largely in the research of the interstellar medium today was not observed until half a century later in 1970, by Robert Wilson, who, on a side note, also discovered the Cosmic Microwave Background), Slipher was able to determine the velocities of clusters by measuring the Doppler shifts and concluded that many of these clusters move at a faster rate than the escape velocity of the Milky Way (Fig. 2). 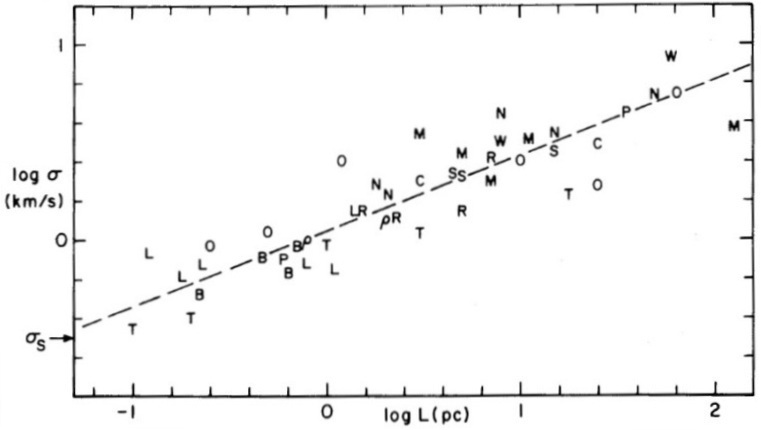 This result, coupled with Barnard’s view of intervening nebulae, revolutionized the notion of the Universe in the 1920s. On April 26, 1920 (and in much of the 1920s), the “Great Debate” took place between Harlow Shapley (the Director of Harvard College Observatory at the time) and Curtis Heber (the Lick Observatory, 1902 to 1920). The general debate concerned the dimension of the Universe and the Milky Way, but the basic issue was simply whether distant “spiral nebulae” were small and lay within the Milky Way or whether they were large and independent galaxies. 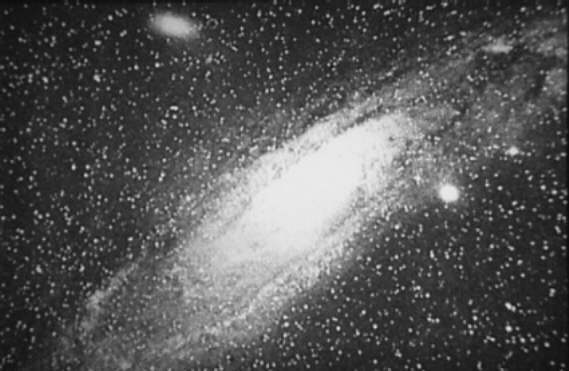 Besides the distance and the velocity measurements, which suffered from large uncertainties due to the technique available at the time, Curtis Heber was able to “win” the debate by claiming that dark lanes in the “Great Andromeda Nebula” resemble local dark clouds as those observed by Barnard (Fig. 3, taken in 1899). 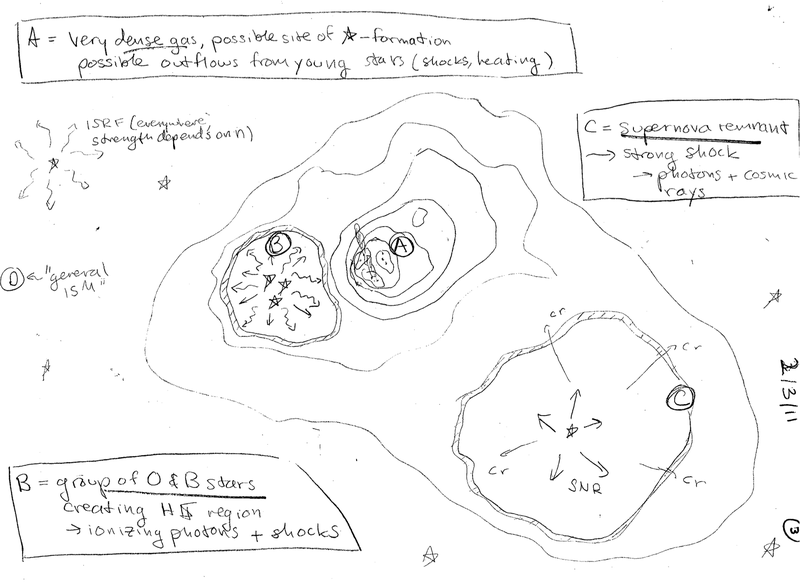 The result of the debate then sparked a large amount of work on “extragalactic astronomy” in the next two decades and was treated as the beginning of this particular research field. Fig. 3 The photographic plate of the “Great Andromeda Nebula” taken in 1988 by Isaac Roberts. Then after the first three decades of the twentieth century, astronomers were finally equipped with a relatively more correct view of the Universe, the idea of photons and quantum theory. In 1930, Robert J. Trumpler (the namesake of the Trumpler Award) published his paper about reddening and reconfirmed the existence of local “dark nebulae.” Fig. 4 shows the famous plot in his paper which showed discrepancies between diameter distances and photometric distances of clusters. 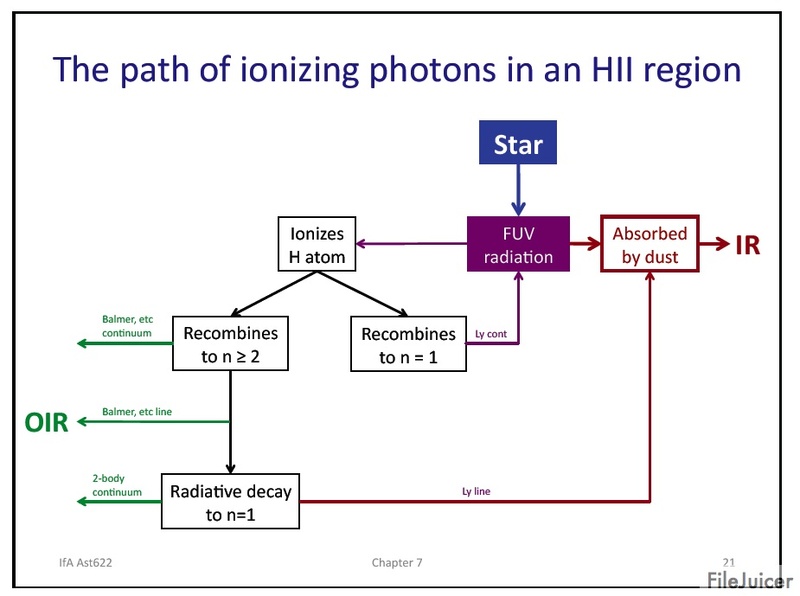 In the same paper, Trumpler also tried to categorize effects of the ISM on light from background stars, including what he called “selective absorption” or reddening as it is known today. 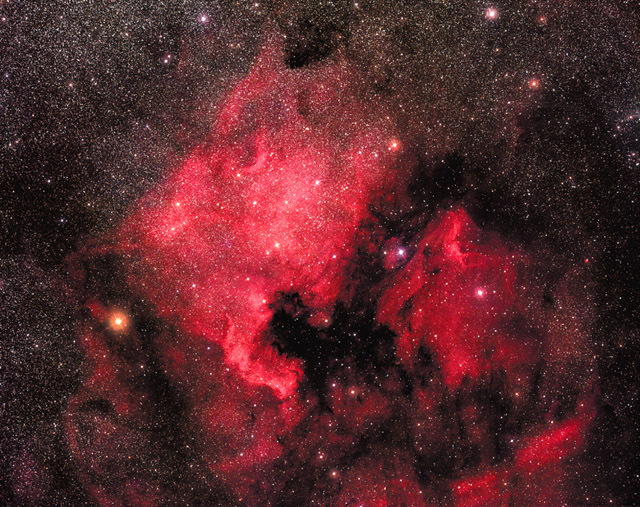 This paper, together with many of Trumpler’s other papers, is one of the first systematic research results in understanding the properties of Barnard’s dark nebulae, which are now known under various names such as clouds, clumps, and filaments, in the interstellar medium. Fig. 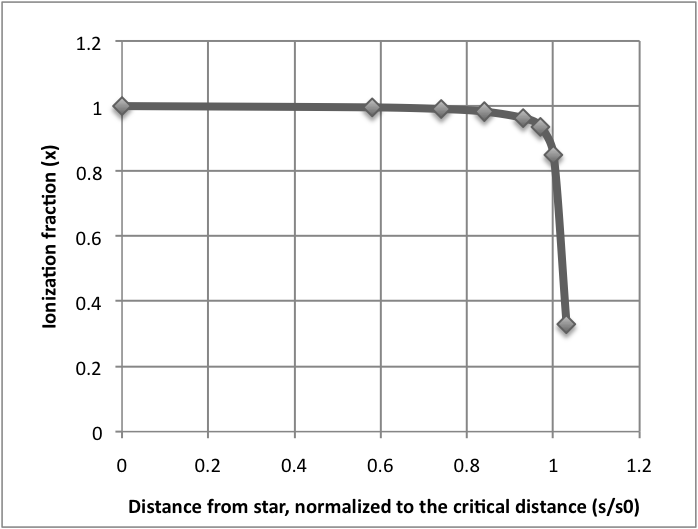 4 Trumpler’s measurements of diameter distances v. photometric distances for various clusters. As Alyssa said in class, it is often more beneficial than we thought to understand what astronomers knew and didn’t know at different periods of time and how we came to know what we see as common sense today, not only in the historically interesting sense but also in the sense of better understanding of various ideas. 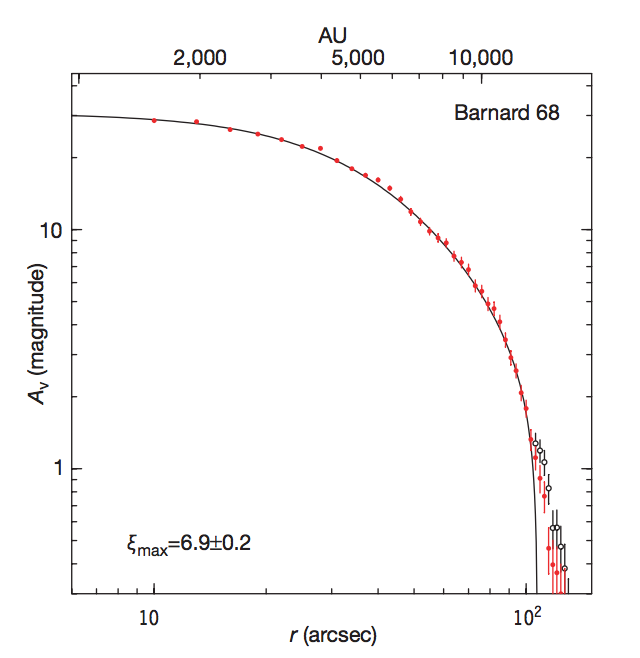 In this paper, Barnard demonstrated a paradigm which we may call unscientific today but made a huge leap into what later became the modern research field of the interstellar medium.